Summer-like weather finally(!) arrived in northern Wisconsin this weekend, with temps “soaring” into the upper 70s. It was a perfect opportunity for the first gazpacho of the year. 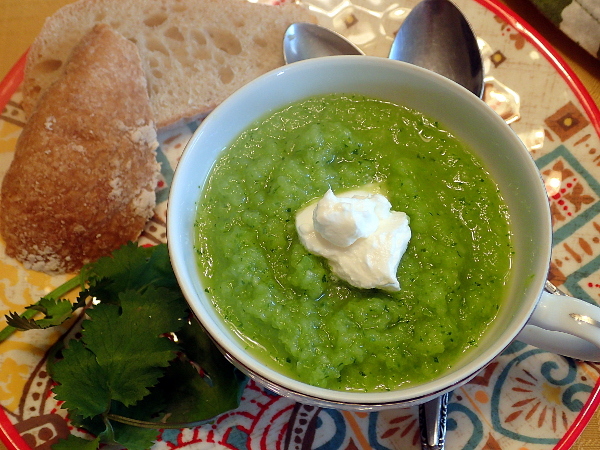 This Spicy Cucumber Gazpacho features a wealth of green vegetables and can be put together quickly. 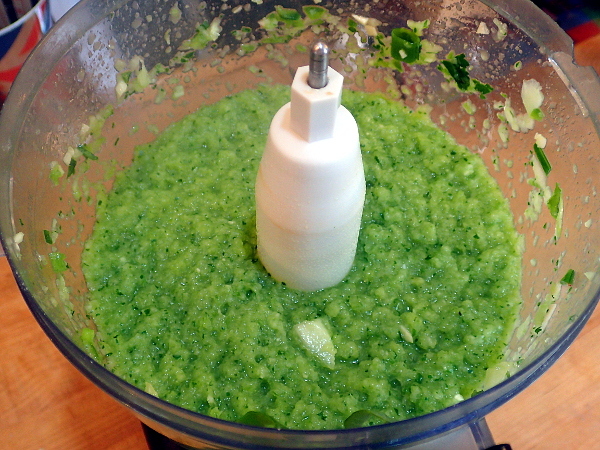 No cooking is required and all the ingredients can be dumped together into a food processor or blender for a soup that comes together in about 1 minute. There are many variations on gazpacho, but this is one of my favorites. 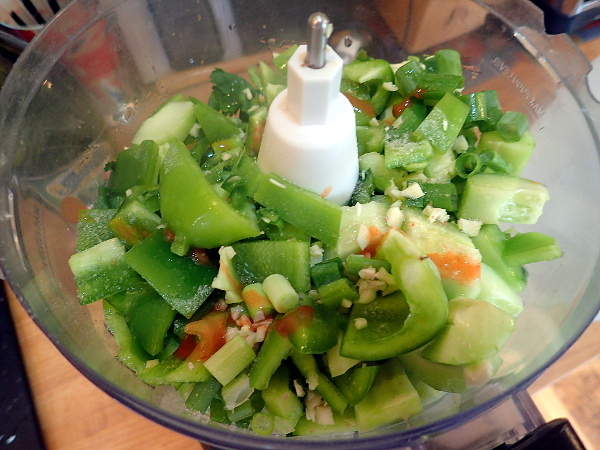 It’s bursting with freshness and I love the cool flavors of the cucumbers fighting it out with the spicier jalapeno pepper and bit of hot sauce. If you prefer your soup mild, feel free to leave the jalapeno out – it will still be delicious. 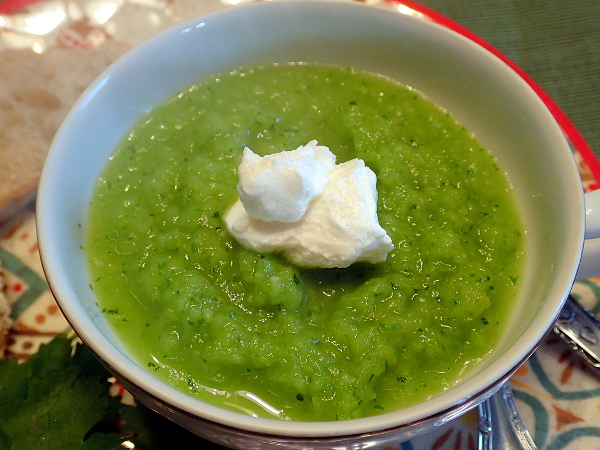 And even if you think you don’t like cold soups, give this one a try. 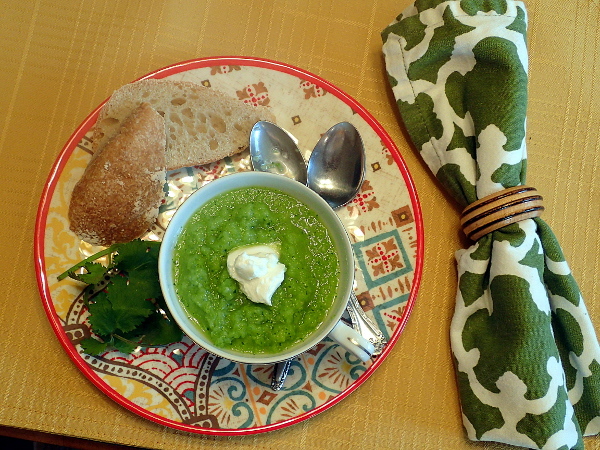 I bet it will change your mind about cold soups and give your something else to enjoy throughout the summer months. Vegetarian Taco Soup with Ranch Dressing – Meatless and Amazing!